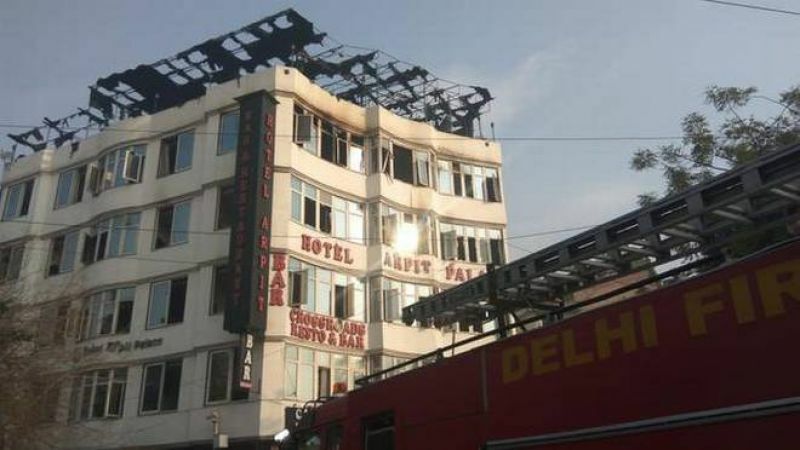 New Delhi, Feb 12: The Delhi government has ordered a magisterial probe into a massive fire at a hotel in central Delhi's Karol Bagh area on Tuesday in which at least 17 people were killed, its Home Minister Satyendar Jain said. 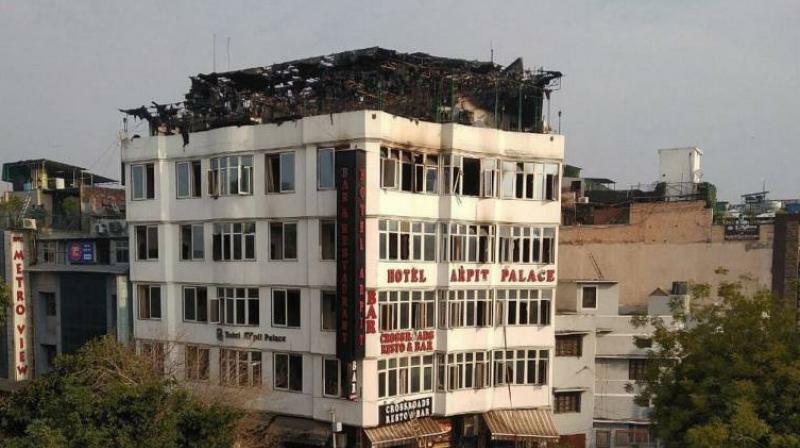 Jain, who visited the Arpit Palace Hotel where the fire broke out in the early hours of the morning, told reporters that he has also directed the fire department to inspect buildings which are five floors or more and submit a report on their fire safety compliance within a week. "We have ordered for a magisterial inquiry into the case. Seventeen people have died, most of them of suffocation. Apparently, there were lapses (from the hotel administration's side) and action will be taken against those found guilty," he said. Generally, four floors are allowed for such establishments, the minister said. "We saw a canopy was put up on the terrace and tables and chairs were laid out. Inside in the rooms, wooden panels were there on the walls," Jain said. "So I have also directed the fire department to inspect such multi-storeyed buildings which have five floors or more and submit a report in a week's time," he said. The blaze that swept through the hotel in Gurudwara Road in central Delhi's Karol Bagh killed at least 17 people, police said. A call about the fire was received at 4.35 am and 24 fire tenders were rushed to the spot, a senior officer from the Delhi Fire Service said.